Measuring Flour. A baking basic. A cooking recipe is more of a road map, but a baking recipe… a baking recipe is a contract. Every word within is there for a very specific reason and is to be read literally. Perhaps this is why I prefer baking over cooking. The recipes tell me exactly what to do and how to do it… however, I rarely see “Step 5. Sample another piece of cookie dough for the 14th time.” Weird, I know, but somehow I just know that I need to do that. Aside from the ingredient list, the measurement of such ingredients is the second most crucial part of executing one of these recipes perfectly. Sounds easy, no? Well, it is if you know that there are different tools for measuring, in addition to differing ways of measuring as well. For example, dry ingredients? Measure in those assorted measuring cups that take up way too much room in your utensils drawer and always make too much noise when the little ones are napping. Liquid ingredients on the other hand? Measure in that one plastic or glass cup with the markings up and down each side. Without knowing which tools to use to measure certain ingredients, you may be setting off on the wrong foot as you head down your merry way to cookie heaven. Flour happens to be one of those ingredients that is commonly measured in an inaccurate fashion; at the same time, it is one of those ingredients that can drastically vary the texture and taste of your baked good treasures depending on the amount added. What is the proper way of measuring this ingredient then? Weigh it. The spoon and level method. Flour is one of those ingredients, like brown sugar, that packs. If you are scooping flour directly out of the bag or jar, you are scooping up packed flour… packed flour is too much flour. 1. 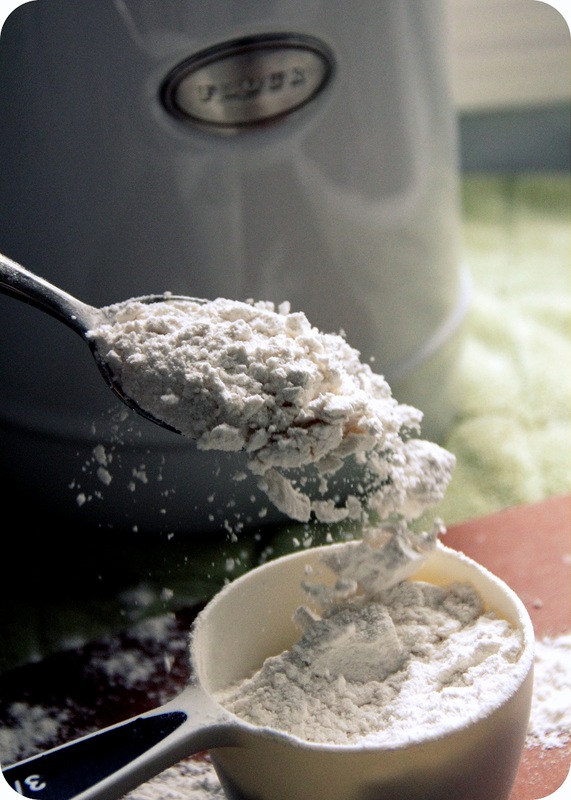 Scooping a measuring cup into the flour and leveling results in approximately 6 oz of flour in weight. 2. Spooning the flour into a measuring cup and leveling results in approximately 4.25 oz of flour in weight . That is a pretty significant difference when you consider how much you will be adding to a recipe. A few ounces can significantly change the resulting texture of your treats. If you have a recipe with 3 cups of flour, and you scoop using your measuring cup, you’d end up with 18 oz of flour, when in reality you should have 12.75 oz of flour. That’s nearly an extra 3/4 cup of flour in your recipe…Yikes! 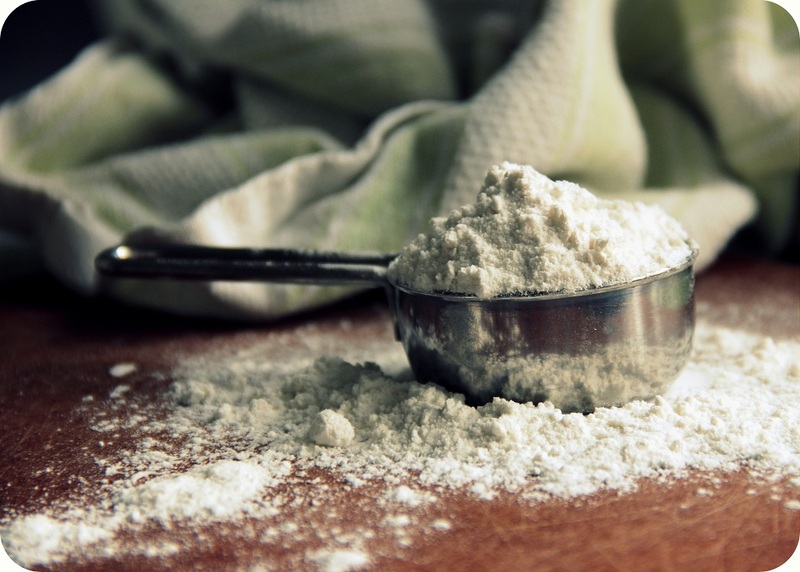 Fluff up the flour with a spoon in whatever container your flour is kept in. 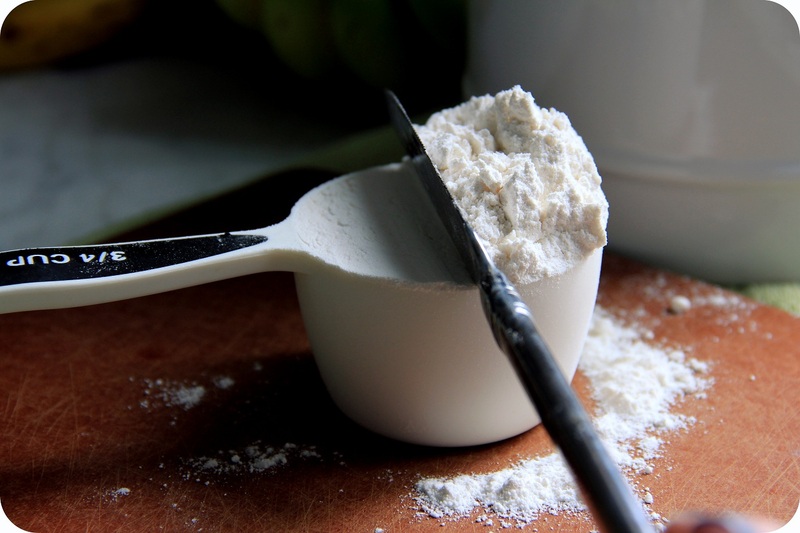 Use a spoon to scoop the flour into your measuring cup until it is overflowing. Use the back of a knife or other straight edge utensil to level off with the top of the measuring cup. There you have it… a perfectly aerated cup of flour ready to head towards its final destiny… Easy shmeezy, no? Love that! I had no idea!